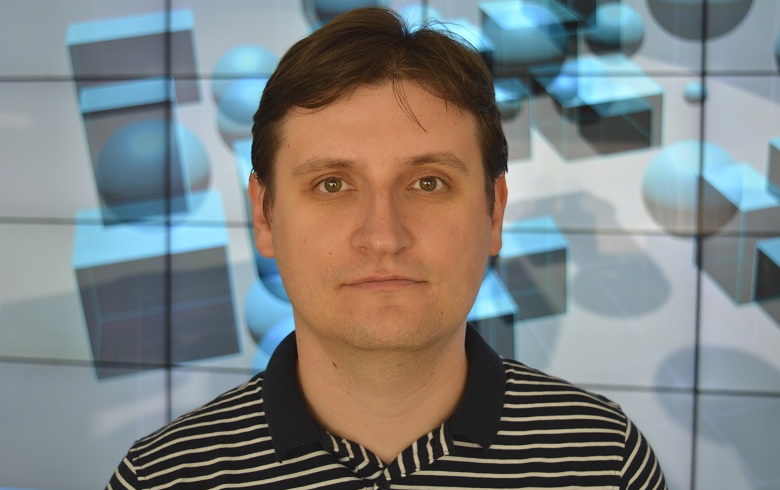 I am a Professor of Computer Science (HDR) at the "Ștefan cel Mare" University of Suceava, where I conduct research in Human-Computer Interaction (HCI), Ambient Intelligence (AmI), and Entertainment Computing. I direct the Machine Intelligence and Information Visualization Lab (MintViz), an interdisciplinary research laboratory within the MANSiD Research Center. While I am broadly interested in Human-Computer Interaction, I have focused prioritarily on gesture technology for effective interaction with computing systems, from large-scale installations to personal mobile and wearable devices and gadgets. I am also interested in inclusive design for all abilities, and my work has often addressed UI design for young children or people with visual or motor impairments; see the ongoing Research Projects section. My work has received paper awards at ACM's specialized conferences, such as MobileHCI (2018), CHI (2016, 2015), TVX (2015), and ICMI (2012), and has been regularly recognized with Research Awards (2018, 2017, 2015, 2013, 2012) by UEFISCDI, the Romanian Executive Agency for Funding Higher Education, Research, Development, and Innovation. I regularly release, with the help of collaborators, software tools, source code, and datasets that are freely available to download and use for research purposes, such as the $P, $P+, and $Q gesture recognizers, the Agreement Analysis Toolkit (AGATe) for gesture elicitation studies, the Gesture Heatmaps Toolkit (GHoST), or the KeyTime and GATO web apps for predicting touch gesture production times; see the Code, Tools, and Datasets section for all the resources. A complete, up to date Curriculum Vitae is available here . For more research videos, please see my YouTube channel here . I direct the Machine Intelligence and Information Visualization Lab (MintViz), an interdisciplinary research laboratory within the MANSiD Research Center of the "Ștefan cel Mare" University of Suceava. Our research efforts are directed toward design, development, and evaluation of new artificial intelligence (AI) and information visualization (InfoVis) technology to support innovative, rich interaction between humans, computers, and environments to advance knowledge in Human-Computer Interaction, Ambient Intelligence, and Entertainment Computing. Towards this end, we have been interested in essential topics from HCI and AmI, such as applying pattern recognition and machine learning techniques to human-computer interaction and information visualization, designing touch, free-hand, and whole-body gesture interactions, prototyping new interactive techniques for smart mobiles and wearables, designing for new user experience in smart environments, protoyping for home entertainement and the interactive TV, and explorations of ambient media concepts. I am always looking for talented students to work on HCI related projects. If you are interested, send me an email. I am grateful for support from UEFISCDI Romania (the Romanian Executive Agency for Funding Higher Education, Research, Development, and Innovation), Agence Universitaire de la Francophonie (AUF), Wallonie-Bruxelles International (WBI), Belgium, OeAD Austria, the Ministry of Science and Technology, China, and the European Commission through the European Social Fund, the FP7 and COST programmes, the Increase of Economic Competitiveness Fund, and for support from the EUCogIII network. My students have also benefited from SIGCHI Student Travel Grants from ACM SIGCHI. The list of current and past research projects is available here. This section is under maintenance. Sorry for the temporary inconvenience.